The complete Agenda in all detail will be updated here soon. Happy to announce that @nfloratos and Anjana Devi accepted our invitation. @COSTprogramme Travel Grants will be given to 10 trainees. Transparent and flexible flat panel displays manufactured on plastic substrates and flexible substrates involve key technologies like ALD manufacturing of transparent electrodes and barriers. In addition, for the pixel-drive circuit of displays, capacitors are used for charging and discharging at very high speed. Having a high capacitance enables also a high color brightness for each pixel. Now researchers at Wuhan University, China has developed an capacitor technology that is has an excellent transparency and flexibility using the latest ALD and graphene processing technology. Please find the Open Access publication below. In this study used comercially available graphene in the form of single-layer graphene that had been grown by CVD on copper foil from 2D Carbon Tech Inc. LTD, Changzhou, China. The ALD ZrO2 high-k and AZO was grown in an TSF 200 from Beneq. (Left) The schematic diagram of the ultrathin, transparent and flexible capacitors; (Right) The optical transmittance spectra of the capacitors on PEN substrates. The inset shows the optical photograph of the actual capacitor device with the characters “TFS 200” in the background, and the optical transmittance spectra of graphene and capacitors on quartz substrates. ESPOO, Finland, 29th November, 2017 – Picosun Oy (Finland), Silex Microsystems AB (Sweden), and Pegasus Chemicals Ltd (UK) have joined forces to develop and provide novel ALD (Atomic Layer Deposition) solutions and processes for MEMS (MicroElectroMechanical Systems) industries. The aim of the collaboration is to realize emerging, advanced MEMS structures that would not be possible to manufacture by any other thin film deposition methods. In the Picosun-Silex-Pegasus collaboration, a PICOSUN™ ALD cluster platform is installed at Silex’s MEMS foundry in Järfälla, Sweden. The platform consists of a fully automated, factory integrated cassette-to-cassette vacuum robot for substrate handling and a PICOSUN™ P-300F ALD reactor capable of coating up to 25 pcs 8” wafers in a batch. The installed reactor can deposit various metal oxides, metal nitrides, and pure metals on up to tens of thousands of wafers per month (*). 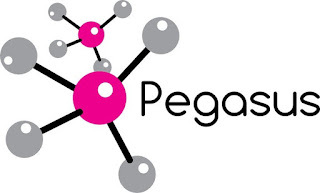 Pegasus develops and manufactures the precursor chemicals required for the ALD processes and provides the technical support and delivery options for individual applications. The cluster platform can be later upgraded with two additional ALD reactors. 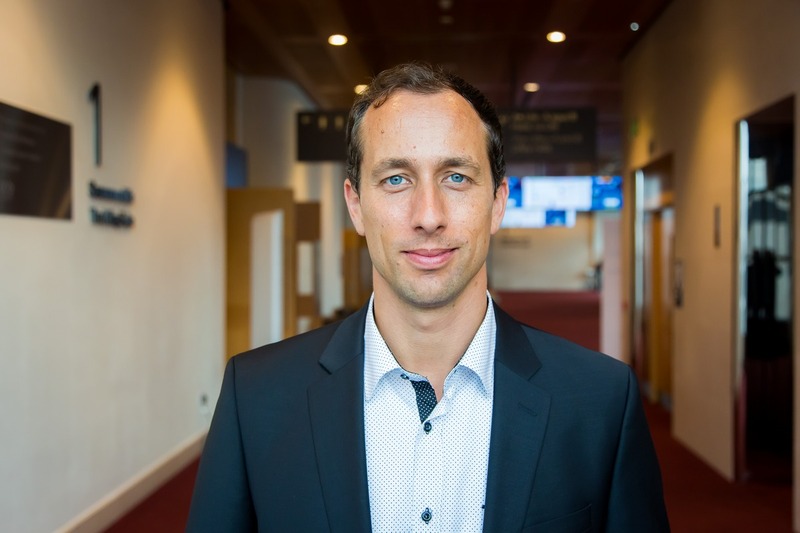 In the collaboration, engineers and scientists from all three partners work together to solve existing problems in MEMS processing, as well as to develop completely new openings on how to realize novel MEMS devices. According to industry sources on October 19, Samsung Electronics is considering a plan to purchase 10 extreme ultraviolet (EUV) lithography tools from the Netherlands-based ASML, the biggest semiconductor equipment maker in the world. To put tha in perspective - ASML believes that it can produce about 12 EUV lithography tools this year. It is the only company that manufactures EUV lithography tools in the world. Sales in ALD and Etch equipment have been boosted by multiple patterning technologies based on Immersion lithography, both for Logic/Foundry and Memory. 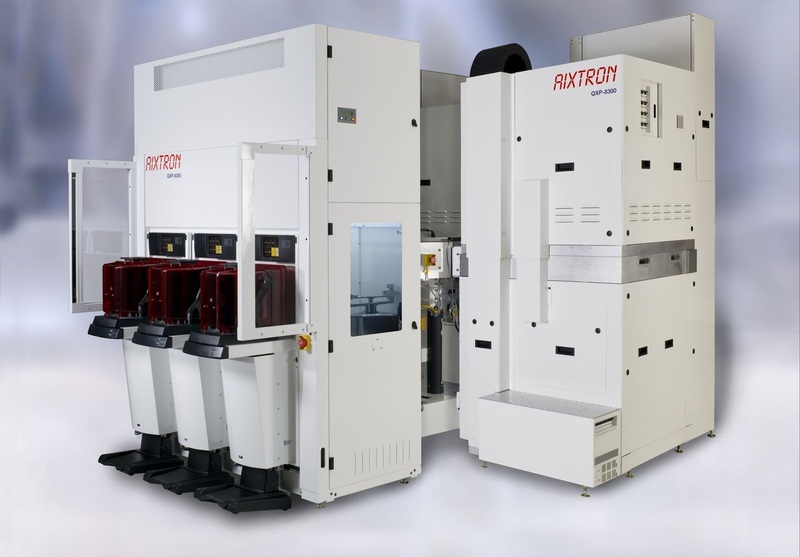 Maybe as much as 1/3 of the single/multi wafer ALD equipment market is patterning related. The last two years or so analyst have been busy trying to figure out the impact on deposition and etch equipment sales if/when EUV is introduced. Here is a recent take down by Seeking Alpha (LINK). My view is that scaling is based on symbiotic use of the latest technologies and multiple patterning and EUV will co-exist and keeping the scaling path alive. In addition, scaling opens new opportunities for ALD, ALEtch and future use of selective growth technologies with atomic scale precision. According to recent reports the ALEtch market segment is now considerd an actual segment by itself and has entered HVM (LINK). 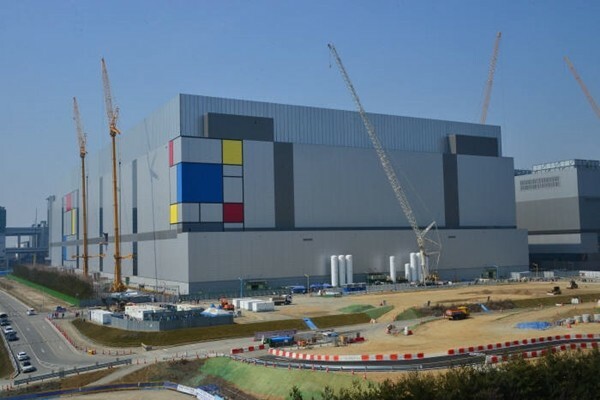 Fudzilla reports: Korean based ETNews has mentioned that Qualcomm 7nm manufacturing has been a big win for TSMC while two other US and China customers chose Samsung’s 7nm. TSMC traditionially have dibs on Nvidia and MediaTek according to the report. View of Samsung Electronics’ Hwasung 17 line. It is expected that Samsung Electronics will build a new 7-nano plant on a nearby site according to ETNews. Nanotechweb.org reports: Researchers at Gwangju Institute of Science and Technology (GIST) Korea and California Institute of Technology USA have made low-k dielectric by a new technique. They deposit a photoresist on the top of a electrode (Au/Ti (80/12 nm) and then directly write a nanolattice scaffold into the photoresist layer using a technique called two-photon photolithography direct laser writing. They then coat coated the polymer nanolattice with a 10 nm-thick conformal layer of alumina (Al2O3) using atomic layer deposition (ALD) and etch away the photoresist by an oxygen plasma using a focused ion beam. Finally, we evaporated an identical Au/Ti (80/12 nm) bilayer as a top electrode on the top plate of the nanolattice to create a parallel plate capacitor. Low dielectric constant (low-k) materials have gained increasing popularity because of their critical role in developing faster, smaller, and higher performance devices. Their practical use has been limited by the strong coupling among mechanical, thermal, and electrical properties of materials and their dielectric constant; a low-k is usually attained by materials that are very porous, which results in high compliance, that is, silica aerogels; high dielectric loss, that is, porous polycrystalline alumina; and poor thermal stability, that is, Sr-based metal–organic frameworks. We report the fabrication of 3D nanoarchitected hollow-beam alumina dielectrics which k is 1.06–1.10 at 1 MHz that is stable over the voltage range of −20 to 20 V and a frequency range of 100 kHz to 10 MHz. This dielectric material can be used in capacitors and is mechanically resilient, with a Young’s modulus of 30 MPa, a yield strength of 1.07 MPa, a nearly full shape recoverability to its original size after >50% compressions, and outstanding thermal stability with a thermal coefficient of dielectric constant (TCK) of 2.43 × 10–5 K–1 up to 800 °C. These results suggest that nanoarchitected materials may serve as viable candidates for ultra low-k materials that are simultaneously mechanically resilient and thermally and electrically stable for microelectronics and devices. This coming year the classic Dresden NaMLab annual High-k Workshop 2018 organized by Dr. Uwe Schröder (ALD2012, Co-Chair) will make an excursion to Wroclaw Poland. The webpage just came online so please check it out for further details on the event. Conference "High-k oxides by ALD"
In collaboration with the EU COST networking project HerALD, Institute of Physics, Polish Academy of Sciences and Polish Vacuum Society invite you to the next edition of the conference "High-k oxides by ALD", which will be held in Wroclaw, Poland, on March 7-10, 2018. New challenges offered by the application of ALD based high-k dielectric materials in nanotechnology will be discussed by more than 80 participants from industry, research institutes and universities. 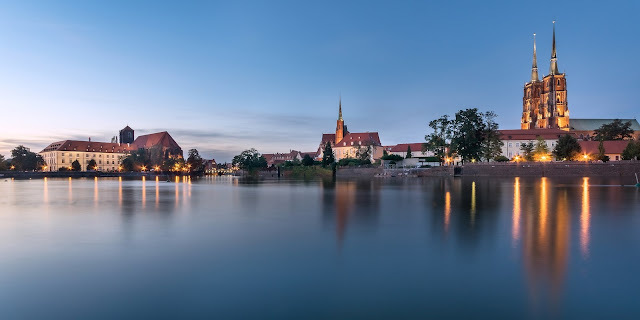 Beautiful Ostrów Tumski ("Cathedral Island", German: Dominsel) is the oldest part of the city of Wrocław in south-western Poland. It was formerly an island (ostrów in Old Polish language) between branches of the Oder River [Wikipedia]. After years in R&D, several fab tool vendors last year finally began to ship systems based a next-generation technology called atomic layer etch (ALE). ALE is is moving into 16/14nm, but it will play a big role at 10/7nm and beyond. The industry also is working on the next wave of ALE technology for advanced logic and memory production. Applied Materials Centris Sym3 is one of the Applied Materials offering for ALE. It can be configured to handle plasma ALE for anisotropic etch applications, such as self-align contacts and spacer-based patterning. Applied Materials, Hitachi High-Technologies, Lam Research and TEL are among the suppliers of ALE tools in the market. Today, ALE represents a tiny percentage of the overall etch market. In total, the worldwide dry etch business is projected to reach $9.6 billion in 2017, up from $7.2 billion in 2016, according to Gartner. AIXTRON SE (FSE: AIXA), one of the world’s leading providers of deposition equipment to the semiconductor industry, announced today that the sale of AIXTRON’s ALD and CVD memory product line to Eugene Technology Inc., a wholly owned U.S. subsidiary of Eugene Technology Co., Ltd, South Korea was completed as of November 15, 2017. AIXTRON will receive c. USD 60 million for the assets being transferred and c. USD 11 million for open supplier orders for which it retains the liability to pay. AIXTRON, Inc., the U.S. subsidiary of AIXTRON SE situated in Santa Clara, California, will continue to provide sales and support for its continuing businesses. SUDBURY, Mass., Nov. 17, 2017 —Arradiance’s formidable Atomic Layer Deposition (ALD) foundry service and InRedox’s world-class manufacturing of nanoporous anodic aluminum oxide (AAO) and nanotubular anodic titanium oxide (ATO) will provide new ALD-functionalized Nanoceramics for life sciences, nanotechnology, filtration and separation, energy generation and storage, analytical equipment and many other applications. Arradiance LLC, manufacturer of the popular GEMStar family of professional, research grade Atomic Layer Deposition (ALD) systems and provider of nanofilm foundry services, today announced a partnership with InRedox LLC (Longmont, Colorado) to provide nanotechnology researchers with ALD-functionalized nanostructured materials (wafers, membranes and nanotemplates). “InRedox’s innovative AAO / ATO wafers and templates have demonstrated utility at leading commercial, academic and government research institutions across a broad range of technology areas,” said Arradiance CEO Michael Trotter. “I am certain that the combination of Arradiance’s ALD nanofilms with InRedox’s powerful nanofabrication technology platform will spur exciting new developments,” explained Mr. Trotter. Kyle J. Blakeney and Prof Winter from Department of Chemistry, Wayne State University just published a new exciting ALD path to tungsten carbide. WCl6 has favorable precursor characteristics and advantages over the widely used WF6, which is corrosive and toxic. In addition, fluorine tend to diffuse into dielectric layers (SiO2, SiN, high-k) and can cause reliability issues for transistor and memory devices e.g. in CMOS Logic, DRAM and NAND Flash Memory. Films for this study were deposited in a Picosun R75-BE ALD reactor and WCl6 (99.9%, Strem) delivered at 125 °C using the solid state booster in the reactor. You may find more details an the ALD redactors at their lab here (LINK). Please check out the publication in JVSTA A - Open source available for all! 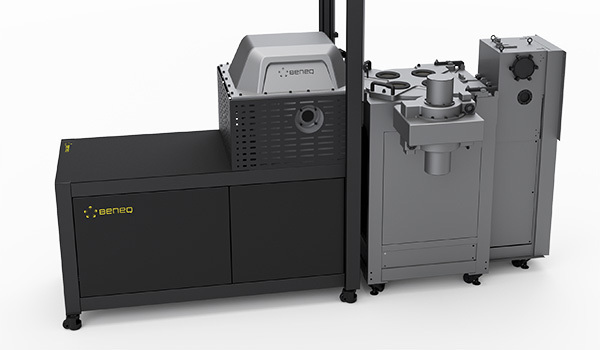 At Semicon Europa, the largest microelectronics event in Europe, 14-17, November, Munich, Germany, Beneq launched the Beneq C-Series, a new Cluster-Compatible ALD product family for high-volume manufacturing of wafers. This is the start of a throughput revolution for ALD in new More than Moore wafer processing markets. 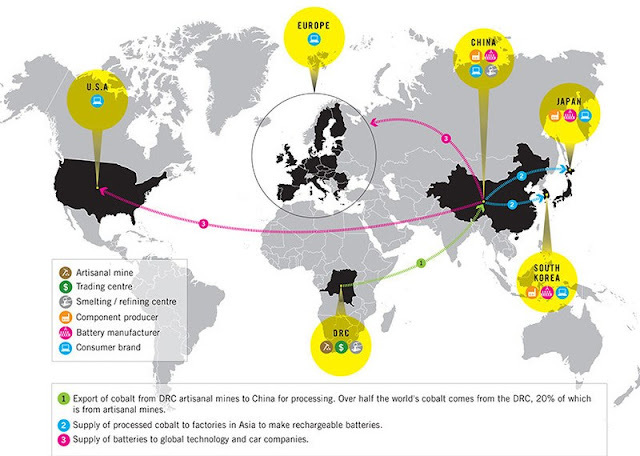 According to Amnesty International, major electronics and electric vehicle companies are still not doing enough to stop human rights abuses entering their cobalt supply chains, almost two years after an Amnesty International investigation exposed how batteries used in their products could be linked to child labour in the Democratic Republic of Congo (DRC), the organization said today. In parallel ther are roports on price of Cobalt "Cobalt Prices to Rocket" : The Democratic Republic of Congo supplies some 60 percent of the world's cobalt- a desperately sought after metal that is the driver of our electric vehicle (EV) boom and the fodder of battery gigafactories popping up all over the world. Buyers are under growing pressure to give up conflict cobalt and find new sources, but the timing is tough. Major automakers and battery manufacturers are scrambling to secure supplies of cobalt. Prices are soaring, and demand can only move in one direction - up. One company in the heart of the Cobalt supply chain that do care a lot about fair and ethical sourcing of Cobalt is Umicore, please see previous report ebout their supply chain here - Umicore's pioneering approach to ethical cobalt sourcing for CVD/ALD precursors [LINK]. An industry that is not included here in the Amnesty study that has been using wast amounts of Cobalt for a long time is for instance the cemented carbide industry for hard metal tooling. Picosun is one of the leading suppliers of ALD thin film deposition technology for semiconductor, lightning, MEMS as well as for other industries and research. This week I had the chance to meet with Kustaa Poutiainen himself, Chairman and Chief Executive Officer of Picosun Oy. in Dresden. We had a very interesting meeting discussing recent developments in ALD Technology announced by Picosun as well as discussing the past and future outlook of ALD. Mr Poutiainen was in Germany to meet with customers and overseeing Picosuns activities and expansion in Germany. In the European perspective Germany is the biggest market for ALD Technology and Equipment. For those of you who do not know, Picosuns ALD equipment portfolio in detail it ranges from fully automated ALD batch and cluster systems for high volume manufacturing to smaller scale R&D and pre-pilot production tools (see below). A snapshot of the Picosun products - more information here. Picosun has recently opened a branch office in Germany - Picosun Europe GmbH, headed by General Manager Dr. Christoph Hossbach, serving its growing install base of ALD equipment on the German market, both at leading research institutes within Fraunhofer and other research organizations and wafer fabs. According to previous press releases made we know that they have a number of high value customers in Germany including Bosch Sensortech. Mr Poutiainen was very excited over the development of Picosun as a company and informed me that it ended its Fiscal year 2016/2017 in September by a record turnover growth of 27% landing at just above 21 million EUR for 2016/2017 and more details will be released soon. The company is constantly investing to develop it operations further globally adding new local teams and having a strong focus on R&D. Mr Poutiainen did also let me know that Picosuns R&D expenses are at about 20% of the actual turnover, which is considerable. Quoting Mr Poutiainen: “The most awarding proof of success of the company is to hire new members. We are looking to hire more than 30 new employees in the next expansion phase”. Next you have a chance to meet Picosun at SEMICON Europa in Minich. Picosun is exhibiting as well as sponsoring the ALD Lab Saxony Symposium on the 14th of November. Commonly titanium nitride (TiN) thickness and resistivity wafer fab in-line metrology is based on ellipsometry and 4-point probe resistivity mapping. Alternative and relatively slower or more complex methods are X-ray photoelectron spectroscopy (XPS), X-ray reflectivity (XRR) and X-ray fluorescence (XRFS). TiN thin films are highly conductive and lose transparency for thicker layers which can make it challenging to accurately measure the thickness by ellipsometry above 10-20 nm. At about 50 nm layer thickness TiN is non-transparent and has a bronze color changing to gold for even thicker layers. In the case of resistivity mapping, 4-point probe is a destructive method leaving scratches from the needles that penetrates the TiN layer and possibly also damages the underlying layers and devices. TiN is used as a metal gate in complementary metal-oxide-semiconductor (CMOS) technology as it has low resistivity and is compatible with gate dielectrics. TiN is also deposited as a wear resistant coating, and barrier layer for copper diffusion due to its chemical and thermal stability. Traditionally TiN was deposited using physical vapour deposition techniques which suffer from as poor step coverage in deep contacts and via trenches due to the shadowing effects especially in high aspect ratio structures. Atomic layer deposition (ALD) is a thin film deposition technique which allows for Å-level control of the film thickness, excellent uniformity, and conformal coating of high aspect ratio features. Therefore, non-destructive characterization of thickness and electrical uniformity across the entire surface covered by the deposition is critical to ensure the quality of the final film. Oxford Instruments demonstrate the deposition of conductive TiN by plasma enhanced ALD with excellent thickness uniformity and collaborate with das-nano to map the resistivity uniformity using THz spectroscopy on 200 mm wafers.